I use WP Super Cache because it’s the first WordPress caching plugin I tired (never tried W3 Total Cache) and WP Super Cache plugin is working well on my sites. I’ll have to find the time to test WP Super Cache vs W3 Total Cache since if there’s a big difference it means your sites run faster if you use the right one. I can say if you are torn between the two and currently not running caching plugins on your sites pick one of them and see how it goes because what is certain, whether WP Super Cache or W3 Total Cache you should be using caching plugins because they do have SEO value. Update: Feb 2014 have since tried W3 Total Cache and it’s a better caching plugin SEO wise. The SEO value today (2014) is even more important with Google taking page speed (how fast a site loads) into account in it’s search engine algorithm. Hi, Dave, I am your old customer and have been using Stallion since it was Talian :). I want to ask your seo comments as to my observation. Stallion is a perfect theme but it can’t make everything for you. I have just noticed that you tend to have only one h1 heading on any page, despite the h2 and h3 looks almost similar visually. Earlier I made several H1 for my blog post. But now, after having noticed your way, I decided to leave just only one h1 per page. Is it seo wise? There’s no hard rules on the exact number and ratio of headers to use because the larger an article more scope for header usage, you wouldn’t add 10 different headers (various H*s) to a 250 word post for example, but 10 headers for a large 3,000 word article might work. Every page is different basically. Through SEO research I work under these understandings and loose rules. There will be a finite amount of SEO benefit available from any SEO important part of a page/code and this includes headers which can sometimes mean more is less. It’s believed H1 is more important than H2 and so on. I’ll use this site as examples. Stallion covers the H1 automatically because it’s so important. On the home page and unimportant dated archives the name of the site is within a H1 header “Stallion WordPress SEO Theme”. On categories, tags and search results the name of the category, tag or search phrase is within the H1 header. On posts and pages the title of the post/page is within the H1 header, so this post the H1 is “Stallion SEO WordPress Theme Support”. Since I’m writing a comment and with the Stallion theme comments can generate their own pages the comment page will have a H1 that includes the title of the comment (in this case “WordPress Themes and Search Engine Optimization of Headers, H1, H2, H3, H4”). So H1 wise Stallion covers H1 needs as long as you keep SEO in mind when naming your site, categories, tags, posts and pages. If you decide to add more H1 headers to posts/pages assume the words within all the H1 headers shares the H1 benefit, basically whatever you add to your manually added H1s is added to the Stallion H1. Take a page with title “Stallion SEO WordPress Theme Support” that’s 5 keywords, meaning the H1 benefit is shared over those 5 keywords, each receive one fifth the H1 SEO benefit. If I added more H1 headers say “Stallion Support” and “Stallion SEO Help” we now have 10 keywords within H1 headers. I’ve not been able to conclusively test how the benefit is shared when a keywords is repeated, in the above 3 H1 headers there’s 10 keywords, but only 6 are unique keywords. There’s the argument Google takes into account what a user sees, so in this case a user sees 10 keywords within H1 headers and so the benefit should be shared in tenths and since the keywords Stallion is used 3 times it should gain three tenths of the H1 SEO benefit. I don’t know for sure that this is how it works, but it is how Google works. If it works the other way each word gains 1/6th of the SEO benefit. On the home page and categories, tags etc… the H2 includes the title of the posts and pages linked to. If your archives have 10 posts you’ll have 10 sets of H2s. Hmm, that just gave me a good idea for improved SEO on archives, currently there’s no H3 and H4 usage on archive pages, would makes sense to have something like say two H2s, four H3s, four H4s and more than 10 posts make them H5s. I’ll have to code that in for the next update. Stallion doesn’t use H2s automatically on posts and pages, they are left for the user to generate them manually so you can add more related key phrases. Reason for this is there’s a limited number of useful phrases to grab from a post automatically, it’s reasonable to assume your title is going to be SEO’d but not reasonable to assume the first 5 words of a post say is keywords. On posts and pages depending on the setup and use of supported plugins there’s a splattering on H3s and H4s repeating the title of the post to reinforce the keywords within the title. For example the comment areas and the related posts plugins I’ve SEO’d use H3 and H4 headers. All Stallion header use will use the posts/page title so it adds to the SEO of the page as long as your posts/pages titles are built with SEO in mind. If you call your posts “What I did on Saturday” when it’s about how you rebuilt a PC from scratch don’t expect to rank well for SERPs like “How to Rebuild a PC in 24 Hours”. You’ll note on this page there’s the title of the post in the Stallion H1, Stallion comment H3, Stallion comment H4 and the related articles plugin H3 with a manually added H2 with content “Stallion Theme Tutorials and Features”. Most of my pages are built like this if I remember to add the H2 (I get lazy :-)). I was listening to Matt Cutts talk today about a large over SEO update coming out. He almost in the same breath mentioned social media. I have always been under the assumption there is nothing you can do to promote your site with social media, as it would be as link building was in the past, non-organic. Besides putting social media buttons on your website as Stallion does of course. Are you going to have your pulse on the new directions and ideas as alluded to by Matt for future updates? Like Wayne Gretzky said ‘I was good because I did not watch the puck, but watched where it was going’. I have to admit I don’t like using social media for promotion, to date it’s been severely disappointing, I’ve got thousands of Twitter followers and auto Tweet many sites, have around 2,500 Google+ followers and use Facebook for local stuff. If I lost the above tomorrow I wouldn’t notice. The future question is how important SEO wise are Google going to consider a Facebook Like, a Tweet etc… and currently I think it’s tiny, almost irrelevant compared to other SEO factors. Social Media is clearly the present, who doesn’t use Facebook now for communicating and discussing things, which means for Google search to remain current it needs to take this into account and I can see in the next few years being more important for Google rankings. The links Facebook etc… send to sites are rel=”nofollow” so have no direct SEO benefit, reading between the lines I think all Matt Cutts has been saying is obvious, if you promote your content on social media sites like Facebook and Google+ more people are going to find and link to your content. Do Google really need to take Facebook likes etc… into account when it’s so easy to game, if the interest is real it will generate more links to the content as it’s also discussed on blogs etc… Imagine you created something that went viral on Facebook, it’s going to generate loads of links from blogs etc… With social media usage growing if you want people talking and linking to your content you have to have a social media presence. Regarding over SEOing content, in my experience this is an SEO myth as long as we aren’t talking SEO SPAM. You’ve been reading my content for years and probably noticed I write with SEO in mind, I write descriptively. For example rather than writing “It’s a very nice product”, I’ll tend to write “The widget is a very nice product” (where widget is a relevant keyword or SERP). It’s not a natural way to write content, but it adds relevant keyword rich content and it works. This is not SEO SPAM, it’s good SEO copy and can make a significant difference to the amount of SERPs covered in an article etc… without resorting to adding keyword lists etc… (which is SEO SPAMMY). As you can appreciate a theme can’t change content in the above way, so most user generated content on a website isn’t close to well SEO’d or over SEO’d. Basically a theme or plugin doesn’t touch the main user generated content. What a theme/plugin combination can do is reuse the content the user has generated and Stallion does this well. From an SEO perspective it’s SEO 101, you never use “Click Here” or “Home” for a links anchor text for example. Stallion 6.2 uses the title of posts for the anchor text of links, used within headings etc… and this tells Google what a page is about SEO wise (anchor text in particular is important). The title element (title tag), all internal anchor text linking in, headings related to comments, headings related to the related posts plugins etc… all use the title of posts for the content. As long as users add their main SERP to the title of posts, Stallion covers the optimization for that keyword phrase well. This currently works very well, taking into account I also write with SEO in mind (as described above) if there was currently an automated over optimized Google penalty my sites would be hit badly, and the ones with unique content are doing well: some of my test sites where I’m using thin affiliate content etc… are doing rubbish, but that’s to be expected, Google hates thin content. I don’t think Google can move that way, but I’ve had this concern in the back of my mind for years and in Stallion 7.0 it will no longer be an issue for those who go to the trouble of using the Stallion All In One SEO built in plugin and add related keyword phrases. The phrases are used for anchor text, headings etc… which means the exact same text (the title tag) won’t be used over and over again. I don’t see Google moving this way, but if they do Stallion 7.0 has it covered. 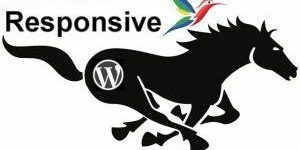 The above is all about onpage/onsite SEO, Stallion/WordPress has no control over what happens off site. Where it’s difficult to develop a CMS to use different content for links etc… (what Stallion 7.0 outputs) it’s completely natural to have incoming links with varied anchor text. If you do a lot of backlink building and always use the same anchor text for the links it’s going to look unnatural and programmatically this isn’t hard for Google to find and DOWNGRADE. Since off page SEO is where the majority of Google rankings are generated this is where I believe Google puts it’s main efforts. I ran an SEO test a few years back where I added thousands of backlinks to the home page of a site using the same anchor text, it was penalized within 3 months and never recovered. Before understanding SEO well (a decade ago) I used blatant (in bulk) comment, guestbook and forum link SPAMMING and it worked really well, PR7 home page, hard top 10 SERPs (ranked well for the “Lingerie” SERPs for example), but Google penalized the entire domain after about a year, never recovered. I listened to the audio while I was working on other things. Basically too many keywords on the page is a no-no. For SEO content, I try to get the title right and then write naturally as possible. Your correct that being more exact or descriptive with synonyms and antonyms makes sense. You do not need to repeat the keyword once it is in the title, just write rich copy with words that are LSI related. However, after seeing such wild gyrations in rankings I am a bit nervous. We have had this conversation before about social media. I tell people it is ‘much to do about nothing’. I mean the usefulness of a Twitter or any other social media pales in comparison to good links (harder to get) or organic traffic. Social media is like kids running though a candy shop, then they are gone. I would rather have the guy who comes by a few times a week. Yet if you listen to the Matt Cutts audio interview (audio interviews are a good technique for increasing time on site by the way, if that means anything as people can multi task more than on a video), you can hear again and again recommendations to turn up the dials on social signals. I think one of the owners of Google also said they want to get more back to their roots in the way search was going. To me that translates to links or off site factors. But the links of 2012 (including I guess now social votes) are different from in 2004 (varied text, rate of growth and geo centers). Matts Cutts did mention design and visual styles or at least that is what I heard. A search engine can not understand this subjective component but, it does understand times on site and click-through. On that note I will focus my Ads below the fold, more in the sidebars. Maybe even three ads in the sidebars. I will also try to get some more images etc on my site experiment with colors. There is a continued trend on personalization per the audio also. I do not know how that could be brought into play with the theme? Bottom line, when I started to use you theme I quit my day job and have not looked back. I am just trying to brainstorm to keep it on an upward path. Maybe Matt Cutts hinting at social media is not that Google will take links from Twitter (I am rarely on this any more, it is kind of spammy unless you are a Matt Cutts and people follow you because of your position) as a serious ranking factor. But rather he is saying it is a way to drive traffic until links kick in. In other words, but maybe social media is a way to generate traffic until links start accumulating. Further, maybe they have divided the algorithm into various phases like a scientific S curve, where factors for a new page or site are not the same as for an old site. During phase I, you could get traffic either from social media or ‘freshness’ factor via Google, whereas, phase II or III of growth of your site/page they factor more heavily on links, the old way. Relevancy such as keywords on page is still a factor and ratio and on site factors will matter, but Google is getting back more to their orignal method 2.0, of off site factors and links playing a greater role but with an upgraded algorithm. Links not just to the home page but to individual pages with varied text and geo centers that fit personalization patterns. 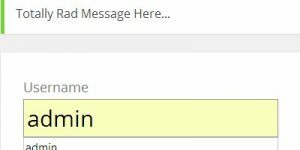 I have tried a ‘link to me’ button but it did not seem to do much. People will link to you if they like what you have to say. I think there will always be SEO tactics to promote good content, they will just be different. All those people doing, for lack of a better word, over optimization or overly SEO – versus those making great content and great site. We are trying to make GoogleBot smarter, make our relevance better, and we are also looking for those who abuse it, like too many keywords on a page, or exchange way too many links or go well beyond what you normally expect. We have several engineers on my team working on this right now. Matt Cutts suggested they are going to roll out an over SEO’d algorithm within weeks, but listen to what he said (highlighted above). like too many keywords on a page – AKA keyword lists, spammy use of keywords etc… I always write articles with SEO in mind, I never check keyword density (waste of time), if it reads OK I keep it, if it reads SPAMMY I change it. There’s also the very basic question what is “too many keywords”? I think we can agree under almost all circumstances a 90% keyword density for a single keyword is way to high, but what about 20%, 10%, 5%, 2%? What about a page with a large amount of text, would it be spammy to keep a density above 5% on a 1,000 word article, keyword used 50 times? What about a 100 word article, keyword used 5 times? Absolute keyword density is irrelevant, I very much doubt any major search engine looks at keyword density per se. If you create content that is poorly SEO’d, check the keyword density of the SERPs the page is targeting and add keywords to match whatever keyword density you think is perfect you run the risk of going SPAMMY or under SEOing if you push the density down on a low content page. This would clearly be SEO SPAM and if I over did it enough to push a poorly SEO’d article to have it’s keyword density for Matt Cutts relatively high I’m confident it wouldn’t pass a manual review. Currently I don’t think Google have a ranking algorithm, but maybe this is what they are working on (would make sense). Note how I used Ranking above instead of just Algorithm, giving us “Ranking Algorithm” which is a match with the title without having to use blackhat SEO techniques. Stallion 6.2 won’t be hit by this sort of Google algorithm change, Stallion doesn’t do keyword lists or anything like that. exchange way too many links – AKA excessive link building, buying links. For years Google has been improving how it deals with SEO link SPAM. It’s difficult to determine exactly where they are right now. What’s clear is excessive link building like adding thousands of links with the same keyword rich anchor text and buying links is very risky, where that SEO grey line is I don’t know so tend on the side of caution. For a domain you don’t want to risk, never buy links that pass link benefit. Never use link SPAM like adding SPAMMY comments to blogs, forums etc… a SPAMMY link would be where a webmaster creates thousands of comments etc… on blogs and forums just for the links, the links will tend to have the same anchor text and be added in an automated way. Commenting on a blog and adding a link to your author name isn’t SPAM, not that on most blogs it matters, they tend to be nofollow links. The grey area is link exchanges and other ways to generate backlinks. I own 100 domains, would be dead easy to add a link farm to all my domains inter linking them all together, or I could add a sitewide link from all 100 domains to this sites home page with the anchor text “WordPress SEO Theme” and if it wasn’t gaming the search engines would probably push it to number 1 in Google within a year of adding the links (links don’t pass full SEO benefit for about a year). This domain is only one year old and is in a niche that is hard to generate natural links for, so adding 100 domains worth of sitewide links would obviously be excessive link building and easy for Google to spot via it’s ranking algo. I tested this years ago and the domain was penalized, since we can guarantee the algo is better today we have to be careful linking our own sites together. Instead I add links from my other relevant sites and a few others (less is more). Reciprocal links pretty much cancel themselves out and I see no evidence Google is cracking down on them. Webmasters generally don’t trade PR3 links for PR7, tends to be same PR roughly. If I send you a PR4 link and you send me a PR4 link overall there’s very little link benefit (PR) passed between the two sites. One domain will gain a little more PR than the other, but in the scheme of things it’s irrelevant. The benefit of having a link from another domain is important, but again with reciprocal linking the amount passed by a single link is small. To make a real difference a site needs hundreds of links, I’ve been working as an SEO for around a decade and haven’t setup hundreds of reciprocal links, they are hard work! I bet you haven’t been able to setup 50 reciprocal links for one domain? Google does’t have to penalize sites for reciprocal linking. I expect when Google rolls out the new Over SEO optimized ranking algorithm it will have little impact on my network of sites. I’ve never had a Google algorithm update have a major negative impact on my network. Some sites go up, some go down. but nothing drastic in the down direction. Had a few algo updates increase traffic overall. Sorry to write so much on this, but I was reading deeper about the new things Google is working on and it is basing somethings off a model that seems to be promoted by Amit Singhal via semantic search and is connected to Google’s freebase.com model. This was an article in the Wall Street journal about it. Basically, they are pushing the frontiers of the way search operates and have hinted at not returning websites in the results but rather information and facts like freebase.com does and if the person wants to go deeper to a website they can. Sorry to come to you with this one, but no one can give workable advice on it. Is it possible to post multiple articles on different pages? When I post an article it shows up on the main page only. I checked wp blog, they talk about: “redirectify and category visibility plugins” and “category template” but that’s not what I need. I would like to create several pages on my site, and post articles, pictures, videos which would be assigned and visible to that particular page and does not show up in the main page or anywhere else. I also checked “http://codex.wordpress.org/Pages” It does not make sense you have to modify the template id to get the same id of the category which going to show you a post on a specific page, when simply you could just post on that page and the problem is over. Please let me know how could this be done. Static Pages (like an About Page) are only added to the Pages widget which you don’t have to use and the default Navigation menu (below the header) which in Stallion can be turned off under the Stallion Layout Options. You would then add links to the Static Pages manually, Custom Menu for example. This set of SEO Tutorial pages are WordPress Static Pages rather than WordPress Posts (update: converted to posts now). you can see near the bottom of the content on the page above under the section “SEO Tutorial Subjects Covered” 8 links to the other SEO tutorial pages, those links are added manually into the Page (Update now use a Stallion Responsive widget area for the links and use a Stallion feature to only show the widget for one category so I don’t have to edit all the posts when I add a new link, just edit one widget). I’ve also built two custom menus (Appearance >> Menus), one is on the right menu (heading “SEO Tutorial”) and the other I’ve used as the Primary navigation area (navigation menu under the header). Without the 8 manual links and the two custom menus those Static Pages wouldn’t be linked from anywhere on the site. To achieve this with Posts you’d need to find a plugin that allows you to disable Posts from showing up in the Home page and monthly archives. Never used a plugin like that. Alternative would be have a Static Front Page (use a Page for the blogs home page) which means you don’t have Home Page archives. This site for example doesn’t have the archived posts showing on the home page, has a Static Page about Stallion. This means when I create a new post on this site it isn’t loaded on the home page, only shows on any categories and tags it’s added to. Not perfect for what you want as new posts will be linked from widgets like recent posts and monthly archives. Thanks a lot for you help! The SEO tutorials are great! In this case when I link a page to the category which shows all post related to that page, how can I rank that page to be #1 on Google? As I can’t post on that page, it has no quality content “physically”, even it’s showing numerous articles, videos as the page is redirected to the appropriate category, which show the categorized posts to that page, but those posts are actually on the main page. 1. I’m backlinking the page: I want to get #1. 2. I’m backlinking the catergory’s where the page is redirected to rank the page. 3. I’m backlinking the main page which has the content with proper anchor text which refers to the page I want to rank in Google. Which one do I have to work on, in order to rank the page on Google? I understand the internal linking on your SEO Tutorial, thats helps a lot too. I mean backlinking from article directories, youtube, blogs. WordPress categories can gain SERPs in their own right, I link to my categories all the time from relevant pages. What I link to/from is based on what the content I’m linking from, regularly link directly to categories on other sites I own. By default there’s not much SEO you can add to WordPress categories unless the theme you use takes advantage of WordPress features like under Categories (Posts >> Categories) you can add some descriptive text to the top of a category where you could add some SEO’d text (shame they don’t allow HTML, spent half a day looking for a code fix for this feature a while back). Update: Stallion responsive includes the ability to add content to the top of a category, see the WordPress SEO tutorial category for an example. You can also use the WordPress Excerpt form on the Post Edit page (if you don’t see an Excerpt form click Screen Options top right and tick Excerpt) to write a category optimized version of an excerpt for each post. If you have the meta description tag turned on the excerpt you add there will also be used as the meta description for that page as well, so your Google description might use this text. Then there’s widget areas on categories (all pages) you can use the Stallion widget display plugin options to show widgets only on specific categories, so there’s a lot of SEO you can add to categories with Stallion. BTW copying articles from places like EzineArticles is highly unlikely to create a high traffic website, all you are doing is sending link benefit to whoever wrote the articles for very little gain. Unless you are playing a numbers game with dozens/hundreds of autoblogs filled with scraped content on throwaway domains it’s a waste of effort. I’ve got a small number of autoblogs (for testing), lucky if a PR4 autoblog with 5,000 posts makes over $200 a year: if the content was unique could make thousands of $USD just from AdSense. Thanks a lot on SERPs it make sense! If I would put up an article to “Ezine” make an excerpt and link it to my page where they can read the full article, but as it is on Ezine and on my page too that would be a duplicated content isn’t it? But if I just put up one paragraph make an excerpt, link it to my page to read the rest of the article which does not have the 1st paragraph from Ezine, that would be original content in both case. Just the article needs to be make sense for those too who will read it from my webpage without going to Ezine fist. I did not find “widget areas on categories (all pages)” I checked all pages, does not show it. I turned on widget display plugin in the layout options. Please let me know how can I see that. Thanks for the info on copying articles. I did a few, I mainly thought about YouTube videos and pictures. What plugins do you use to hide main page where all the articles gets posted? I’m sure there are ways to replace the category with custom content and a link to another site, it’s not part of Stallion and I wouldn’t add it. Also won’t work, unless you plan to do autoblogging in a big way you don’t get a lot of traffic/money from it. Create or buy your own unique content, it’s the only way for long term success. The front page you see on this site isn’t a plugin, that’s a default WordPress feature under Settings >> Reading. Thanks again for this info! I found it in Widgets, also sorted the front page. Your help is fast and accurate, I much appreciate it!